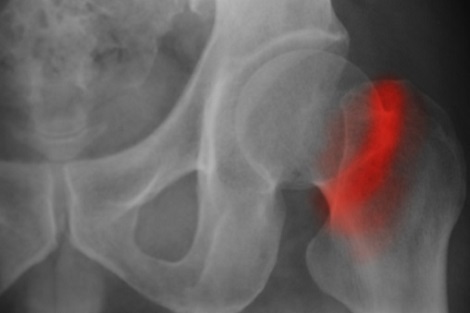 The evidence that circulating levels of markers of bone turnover correlate with hip fracture risk among postmenopausal women is limited. In a new Journal of Bone and Mineral Research study, neither serum C-terminal telopeptide of type I collagen (CTX) nor serum procollagen type 1 aminoterminal propeptide (PINP)- two markers of bone turnover - were associated with hip fracture risk. The findings are consistent with results of five out of six previous studies; however, this study was the first study to examine associations between PINP and CTX and hip fracture risk using serum samples collected in the fasting state, in accordance with the International Osteoporosis Foundation/International Federation of Clinical and Laboratory Medicine Bone Markers Working Group recommendations. The findings do not support the diagnostic utility of serum CTX level or PINP level to predict hip fracture risk in postmenopausal women. Lead author Dr Carolyn Crandall, of the David Geffen School of Medicine at University of California, Los Angeles, said: "These results will help to inform future versions of guidelines regarding the role of bone turnover markers for hip fracture prediction in clinical practice among postmenopausal women not taking osteoporosis pharmacotherapy."